Vinilisssimo presents a first vinyl reissue of Luiz Melodia's Maravilhas Contemporâneas, originally released in 1976. Often overlooked, Maravilhas Contemporâneas is one of the greatest Brazilian albums of all time and one of the finest recordings released on Som Livre. To listen to Luiz Melodia singing is to understand that his music escapes any attempt at labeling. Obviously, the Brazilian music tradition is very present on this record but Melodia's rhythmic sense when using his vocal skills also brings it close to funk or jazz, an idea that is reinforced through the explosive brass arrangements that pervade the whole album. 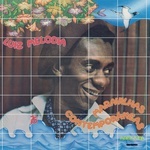 Melodia's first album, Pérola Negra (1973) had featured the outstanding arrangements of Arthur Verocai and the performance of top musicians Hyldon and Meirelles, but Maravilhas Contemporâneas stands as another essential milestone in his career and further proof of his formidable talent. One of the tracks included here, "Juventude Trasviada", was featured in the soundtrack of a popular Brazilian soap opera, Pecado Capital, boosting the artist's increasing popularity. The creative freedom and the wide range of influences managed by Melodia reach their peak in "Baby Rose", a song that evolves from cosmic psychedelia, including the sounds of the sitar, to the peaceful beauty of some kind of highly tuneful samba funk. "Questão De Posse" features fierce proggy guitars while "Veleiro Azul" adds Latin rhythms into this unique recipe, but again, it is the talented voice of Melodia what grants this recording a pass to another league. Maravilhas Contemporâneas deserves to be filed next to the finest albums by Caetano Veloso, Jorge Ben, or Gilberto Gil. This superb album combines the best of Brazil's musical tradition with jazz, funk and gentle psychedelia and is fronted by Melodia's outstanding vocal skills. Presented in facsimile artwork and pressed on 180 gram vinyl. 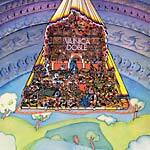 Vinilisssimo present a reissue of Vainica Doble's self-titled debut album, originally released in 1971. It can be argued that Serge Gainsbourg was a typically French artist, although his music was so personal that it would be difficult to find another similar artist in France at the time. The same could be said about Vainica Doble. They were a duo with a distinctly Spanish edge, although it is almost impossible to establish parallels between them and any other Spanish music released during the years they were active. Gloria Van Aerssen and Carmen Santonja were truly unique and their mix of folk, traditional genres and psych rock is a landmark in Spanish pop. Vainica Doble is their impossible-to-find first album, which despite extremely low sales -- it is said that the majority of the copies were destroyed by one of the investors in the Ópalo label after shipping them to Argentina -- has been highly influential for generations of pop musicians in Spain and a holy grail item for many music fans. There are plenty of reasons for this. The opening track, "Caramelo De Limón", already shows how effective their personal musical recipe can be. Fantastic vocal harmonies, unexpected arrangements, original elements brought into the song and even fierce guitars where needed (their backing band, Los Tickets, would later become Asfalto, one of the biggest hard rock bands in Spain). As the album progresses, every track is a wonderfully idiosyncratic marvel: "Dime Félix", "Roberto Querido", "Fulgencio Pimentel"? One can even find drum breaks on "Quién Le Pone El Cascabel Al Gato". The package is completed with the amazing psychedelic artwork designed by Ivan Zulueta, a cult Spanish artist whose work spanned different fields and some will remember for his film posters for Pedro Almodóvar. Includes booklet with notes by Vicente Fabuel. Presented in facsimile artwork and pressed on 180 gram vinyl. Ultra-clear vinyl; edition of 100. Vinilisssimo present a reissue of Vainica Doble's self-titled debut album, originally released in 1971. It can be argued that Serge Gainsbourg was a typically French artist, although his music was so personal that it would be difficult to find another similar artist in France at the time. The same could be said about Vainica Doble. They were a duo with a distinctly Spanish edge, although it is almost impossible to establish parallels between them and any other Spanish music released during the years they were active. Gloria Van Aerssen and Carmen Santonja were truly unique and their mix of folk, traditional genres and psych rock is a landmark in Spanish pop. This self-titled LP is their impossible-to-find first album, which despite extremely low sales -- it is said that the majority of the copies were destroyed by one of the investors in the Ópalo label after shipping them to Argentina -- has been highly influential for generations of pop musicians in Spain and a holy grail item for many music fans. There are plenty of reasons for this. The opening track, "Caramelo De Limón", already shows how effective their personal musical recipe can be. Fantastic vocal harmonies, unexpected arrangements, original elements brought into the song and even fierce guitars where needed (their backing band, Los Tickets, would later become Asfalto, one of the biggest hard rock bands in Spain). As the album progresses, every track is a wonderfully idiosyncratic marvel: "Dime Félix", "Roberto Querido", "Fulgencio Pimentel"... You will even find drum breaks on "Quién Le Pone El Cascabel Al Gato"! The package is completed with the amazing psychedelic artwork designed by Ivan Zulueta, a cult Spanish artist whose work spanned different fields and some will remember for his film posters for Pedro Almodóvar. Includes booklet with notes by Vicente Fabuel. Presented in facsimile artwork and pressed on 180 gram vinyl. 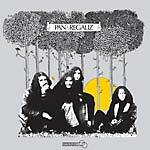 Vinilisssimo present a reissue of Pan & Regaliz's self-titled album, originally released in 1971. This is the album any record collector would have at the top of his wants list when visiting Spain. No matter if you are into prog rock, psychedelia, leftfield jazz, kraut or just looking for interesting breaks and beats, this is the record you will need. But let's face it, there are little chances of coming across an original copy of Pan & Regaliz's only album; groundbreaking quality music did not sell well in early '70s Spain. Despite the late release date (1971), the album is often compared with the early Jethro Tull recordings and their distinctive flute work and experimental blues rock sound, but there is much more to it. One of the opening tracks, "Waiting In The Monsters Garden", shows a strong psychedelic edge spiced with Eastern percussions and trippy vocals that anticipate the hazy wandering atmosphere of the entire LP (the superb "I Can Fly" could easily be confused with a West Coast acid jam and would definitely appeal to fans of The Doors). "Today It Is Raining", the longest cut on the record, is one of the most unique passages on the album and features an amazing hypnotic rhythm background that is almost crying for someone to rap on top, no wonder it was sampled by hip hop producer Madlib after hyping it as one of his favorite psych records. Unfortunately the story of Pan & Regaliz did not last long and shortly after the release of their only album on Ekipo/Dimension the band broke up, merely one year after their very first single (signed as Agua de Regaliz) saw the light. Some of the members would join other bands from Barcelona like Evolution or Jarka while the remaining ones would struggle keeping the band active for one more year. Presented in facsimile gatefold sleeve and pressed on 180 gram vinyl. E Deixa O Relogio Andar! 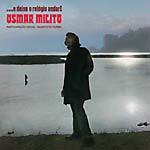 Vinilisssimo present the first vinyl reissue of Osmar Milito's debut album, ...E Deixa O Relógio Andar!, originally released on Som Livre in 1971. During the 90s, a walk around London's Camden Market inevitably meant listening to the music with groove that the most popular DJs had made fashionable at the time: soul jazz instrumentals and Brazilian music targeting the club dancefloors. 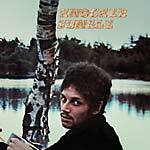 Among all those songs that ended up becoming classics of the scene was the amazing cover version of Herbie Hancock's "Cantaloupe Island" that Osmar Milito had recorded in 1971. This song was probably the main reason that made his LP for Som Livre one of the most sought after Brazilian records by collectors from all over the world. Along with the aforementioned version of Herbie Hancock's song, this first album by piano player and arranger Osmar Milito is full of versions of Brazilian classics, from Marcos Valle to Jorge Ben or Ivan Lins. Fierce samba jazz and bossa all the way through! Note that Milito spent the first years of his career as a member of the backing band of big artists such as Elis Regina, Jorge Ben, Nara Leão... and after two years working with Sergio Mendes in the United States, he returned to Brazil and recorded his first LP. The line-up of performing artists on this album could hardly be more impressive: Quarteto Forma on the vocals, Luis Eça, Marcos Valle, Pascoal Meirelles (an amazing drummer)... and both sides of the record hide a seamless sequence of solid tune after solid tune with similar doses of instrumental and vocal tracks. Just listen to the magnificent "Garra", "Que Bandeira", or "Rita Jeep", or the sweet samba that gives its name to the record, and you will see why this LP should be up there, next to the best works of Arthur Verocai and Marcos Valle. Presented in facsimile artwork; 180 gram vinyl. 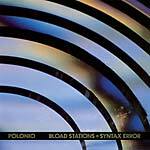 Vinilisssimo present a reissue of Polonio's Bload Stations * Syntax Error, originally released in 1987. Eduardo Polonio has been one of the key names of Spanish music since the late 1960s, especially as a pioneer in the field of electroacoustic music. He was a member, with Luis de Pablo and Horacio Vaggione, of Grupo Alea Electrónica Libre (1970-1972), the first Spanish group of live electronic music; and he was one of the main figures of Barcelona's Laboratorio Phonos since 1976. He was also a founding member and president, between 1988 and 1994, of Spain's Electroacoustic Music Association. In 1994 he received the Magisterium award at the Grand Prix International de Musique Électroacoustique in Bourges, France. He is responsible for an absolutely personal body of work, without any kind of stylistic debts, which has often gone beyond the recording tape in order to establish a dialogue with physical space and other artistic creations, as testified by his numerous collaborations with sculptors, video artists, painters, experimental cinema directors, stage designers, and his own work in the field of installation art. Following Vinilissimo's reissue of Polonio's 1984 LP Acaricia la Manana (MRSSS 037LP), the label present (with Geometrik Records) Bload Stations * Syntax Error, his second solo album. It includes ten tracks composed between 1977 and 1985 and recorded at Laboratorio Phonos, Estudiomar, and Laboratorio Alea using the Minimoog, Polymoog, EMS Synthi AKS synthesizers, and the Yamaha CX5MII computer. The tracks were later mixed at the legendary Gabinete de Música Electroacústica de Cuenca. The album was conceived as a sort of suite made up of mainly short music pieces from imaginary places. 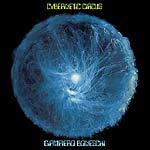 It begins with a hypnotic drone number, the longest track on the entire album, just over eight minutes of wonderful guitar arpeggios played by Jose Manuel Berenguer. As the album progresses, the dreamy atmospheres and surrounding environments point out the stops of the sound trip crafted by Polonio. Occasionally, the looped passages need no more than two minutes to draw an instant as hypnotic as attractive, and the sensations that the sounds generate wander between restlessness and pleasure. Syntax Error is an astounding work that will give the listener a new perspective of the Spanish musical avant-garde in those years. An essential pieces of Spanish electronic music. Presented in facsimile artwork; 180 gram vinyl. RSD 2018 release. 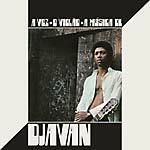 Reissue of Djavan's debut LP, A Voz, O Violão, A Música De Djavan, one of the milestones in Brazilian music from the post-bossa nova years, originally released in 1976. MPB (Música Popular Brasileira) has often been a no-go zone among those inclined to approach Brazilian music only from a crossover perspective. That would explain why this outstanding Djavan's first album is usually overlooked by those who aim to find a pinch of acid guitars, bars of jazz improvisations or funk beats in every Brazilian record they own. A Voz, O Violão, A Música De Djavan should be a mandatory purchase for anyone with the slightest interest in Brazilian music. The beauty of the undoubted classic "Flor De Lis" alone should be encouraging enough to add this gem to any record collection, but the entire album is magnificent. Although some of the arrangements of the album may fall into the jazzier side of things and, yes, there are funky moments here and there, on this LP Djavan showcases acoustic samba music in full effect. Who has yet to hear "Maria Das Mercedes", "Para-Raio", "Muito Obrigado" for the first time will be gladly surprised by the happy and endearing melodies written by the artist and the musical sonority of his lyrics. Djavan is backed here by the magnificent flute of Altamiro Carrilho, one of the most representative "choro" musicians in Brazil, and the subtle keyboard licks played by Edson Frederico, who at the time was often performing with artists such as Maria Creuza, Sonia Santos or Jorge Ben, and had just recorded a solo album one year earlier. Decades after its original release date in 1976, "A voz, o violão, a música de Djavan" remains one of the milestones in Brazilian music from the post-bossa nova years, encompassing a wide range of traditional local sounds next to Djavan's own personal style. Presented in facsimile artwork and pressed on 180 gram vinyl. Vinilisssimo present a reissue of Kannibal Komix's self-titled release. Changing the original artwork of an album in certain territories was common practice back in the day, but using different band names in different countries is definitely something else. Die Anderen may or may not ring the bell, what about Kannibal Komix or Apocalypse? Well, they are exactly the same artists. They got together in the north of Germany after meeting in a talent show called Beat-Band-Ball in 1966. Jürgen Drews met the members of Chimes Of Freedom, the winning band, and simply asked to join them as lead guitarist. Not long after, the manager renamed the group as Die Anderen and sent them to the recording studio with the great Giorgio Moroder, Ariola's in-house producer at the time, and a whole album was made. This was obviously much earlier than Moroder's Munich Sound days, so there are no traces of Italo disco gimmicks here but good portions of fuzzy guitars instead... In fact, the anthemic Kannibal Komix song "Neurotic Reaction", produced by Moroder in these sessions, deserves to be included on a garage compilation next to classics like "Try It" by The Standells... Maybe this explains why they were spotted at Hamburg's Star Club and picked by some American managers to sign a deal with Colossus Records. 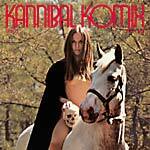 Their almost perfect vocal harmonies and soft psych tunes spiced with a pinch of fierce guitars made the band sound very interesting for the US market but the group needed a new name: Kannibal Komix (or Apocalypse in other territories). A second album followed but nothing really happened despite rising high expectations, and the band split by the end of 1969, almost at the same time that their second album hit the shops worldwide. While "Neurotic Reaction" would be a perfect choice for a European "nuggets" compilation, there is much more to this album than just that standout track. "Cosy Rosy" leans towards prog sounds while keeping some solid pop elements that recall the best of the British Invasion, "Elenor" is an almost perfect match between orchestral arrangements and the dramatic voice of band leader Jürgen Drews, resulting in a three minute psych-pop delight... The remaining nine tracks are further top quality examples of classic late '60s sounds, from tender moments to raw energy, always imaginatively arranged and performed. Presented in facsimile gatefold sleeve and pressed on 180 gram vinyl. 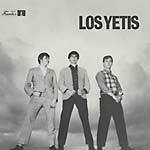 Vinilisssimo present the first reissue of Los Yetis' self-titled album, originally released in 1966. Although many people would only think of tropical genres when discussing Colombian music or Discos Fuentes, there is much more to it than that. In the mid-60s, following the massive success of Los Teen Tops, Los Apson, or Los Rockin' Devils in the Latin world, Los Yetis were signed to Discos Fuentes as part of the bunch of new bands included on their 14 Impactos Juveniles compilation (1966), as an attempt to reach a new audience very much interested in the rock n' roll sounds imported from the States. A great promotional effort resulted in a huge success for the release and Los Yetis were soon invited to record their own debut album, this self-titled LP. As the opening track of the album starts to play, you can imagine the Colombian youth dancing with excitement to this new rock n' roll music as hard as they would dance to local rhythms. No wonder that Los Yetis' take on the Little Anthony & The Imperials hit "Shimmy Shimmy Ko Ko Bop" is at least as effective on the dancefloor as the original. Most of the album is devoted to thrilling cover versions (Beatles, Wayne Fontana & The Mindbenders, Los Brincos...), but as you approach the last grooves of the record, the wild guitars and raw vocals of "Ya No Te Aguanto Más" set the party on fire. That irresistible garage beat track is not only the standout song but also the only original by Los Yetis on the entire album. However, another local band, Los Ampex, has to be credited for playing the instruments on these recordings, as brothers Juancho and Iván Darío López and Juan Nicolás Estela, the original members, were rather a vocal trio than a skilled band. Presented in facsimile artwork and pressed on 180 gram vinyl. 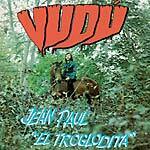 Vinilisssimo present a reissue of Jean Paul "El Troglodita"'s Vudú, originally released in 1973. Enrique Tellería (aka Jean Paul) was nicknamed "El Troglodita" (The Caveman) due to his wild performances in his native Peru. Screams, extreme body shaking and, quite often, stage destruction were part of his energetic show. During the mid-to-late '60s, as his reputation as a singer increased, he took part in a few local recordings and recorded a full LP of moderate success. This would soon lead him to further opportunities in other countries such as Guatemala, Ecuador, Panama, or Mexico. 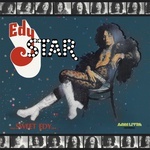 Vudú was his second LP, recorded in 1972 and released on Discos MAG. The first guitar chords of the opening track, with plenty of wah wah and fuzz effects, anticipate the vibe of the entire album: hard psych meets Latin funk. However, throughout the whole record Jean Paul's singing masterfully gravitates between mellow soul moments and extremely energetic doses of wildness... In fact, the seamless brass arrangements on this album bring memories of sophisticated US soul records. The members of the amazing band Laghonia play on this album as backing musicians, resulting in a masterpiece of unorthodox Latin psych at its best. There are no fillers here, almost every track could be a serious contender for making its way onto a 45, but the standout song "Everything Is Gonna Change" alone would justify the need of having this album in any record collection. The very accomplished take on the Pop Tops original "Any Time" is also worth a mention, and so is the amazing Latin soul number "Te Amo Más", but the whole album is very solid from start to finish, and one of Peru's finest ever. Jean Paul's career would last a few more years until the mid-1970s, when his popularity started to slowly vanish. Presented in facsimile artwork and pressed on 180 gram vinyl. 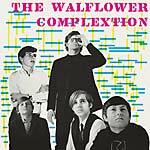 Vinilisssimo present a reissue of The Walflower Complextion's self-titled debut album, originally released in 1966. Garage and beat music fans are always fond of digging deep in the vaults of Latin American '60s labels in search for obscure bands to feed their appetite for rare recordings. While most of the unearthed stuff usually consists of cover versions of hits sung in their native Spanish/Portuguese language, The Walflower Complextion is a totally different case. The members of The Walflower Complextion were actually American teenagers, children of US Government staff, attending high school in Bogotá, Colombia. Somehow they got a deal with local label Daro and released their first LP in 1966. The album shows an evident influence of the British Invasion bands, featuring four Stones covers and other classics such as "Long Tall Shorty" via The Kinks, but it is in their own originals and instrumentals where the band showcases the best of their talent. "Blue Bells", a druggy garage delight, or "Chris's B's", leaning towards early surf music, display the raw sound of this bunch of teens: beautiful vocals, psych guitars, wild drums and tambourines shaken in the background. Although they recorded two albums (only distributed locally) and even appeared on Colombian TV, the band did not last long... They broke up in June 1967 after some of the members finished high school, and little else is known about the next steps in music of Fred and Rick Sampson, Chris Kryzs, Pat Sinex, and Mark Lusk. Despite their short career, The Walflower Complextion has gained a cult status among those into Colombian bands such as Los Speakers or Los Young Beats. A must for garage collectors! Presented in facsimile artwork and pressed on 180 gram vinyl. 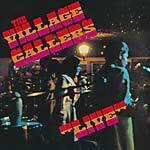 Vinilisssimo present a reissue of The Village Callers' Live, originally released in 1968. Most people believe hip-hop was born in the late '70s, but after listening to what this band from East Los Angeles was recording in 1968, you will find out that the original beats and breaks were already there a decade earlier. It is not surprising that "Hector", one of the standout cuts on this LP, has been sampled by artists such as Beastie Boys, Cypress Hill, or De La Soul, and The Village Callers' take on the classic "I Don't Need No Doctor" could easily be described as an early drum & bass tune. The Village Callers were born out of a band called Marcy & The Imperials and became very popular in East Los Angeles, playing all the top venues. They brought many different sounds into the mix: jazz, soul, R&B and, of course, lots of Latin percussion. Their manager, Hector Rivera, got a record deal with Rampart's owner, Eddie Davis, that led the band to the studio for their only ever LP. The album was made up of cover tunes such as "I Heard It Through the Grapevine", João Donato's "The Frog", and several Aretha Franklin hits. 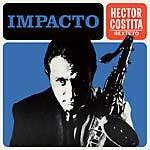 "Hector", dedicated to their manager and the only original song on the album, was a very cool Latin groove that quickly gained airplay, becoming quite a hit in Los Angeles. 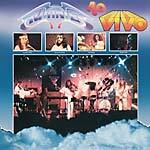 They also recorded the first Latin rock version of "Evil Ways", ahead of Santana's, that didn't make it into the album but was released as a separate 45. Unfortunately, the recording career of The Village Callers didn't last too long after they decided to change label management and left Eddie Davis. Also, their powerful Latin sound progressively faded out as the original members were replaced by new musicians, transforming The Village Callers into a rock band. Presented in facsimile artwork and pressed on 180 gram vinyl. 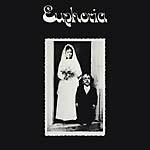 Vinilisssimo present a reissue of Euphoria's self-titled debut album, originally released in 1969. Music genres are labeled for a good reason. They can be of great help when it comes to putting sounds into a few words. This terrific album is usually filed with the "sunshine" tag on it and it is hard to think of a better way to describe the dazzlingly bright songs recorded in 1969 by this American band. The core of the group was formed by Roger and Wendy, an acoustic duo that was a regular performer at New York City's Greenwich Village scene of folk clubs. Two more members, Tom Pacheco and Sharon Alexander, joined them in Euphoria during their brief existence. The band signed to Heritage Records and recorded this fantastic self-titled debut, featuring songs mostly written by Tom Pacheco and led vocally by Roger and Wendy. Their music was built around radiant vocal harmonies and solid arrangements, echoing artists such as The Mamas & The Papas, Free Design, and The 5th Dimension, but with a distinctive lysergic edge. "There Is Now", the opening track, is a beautiful example of the psych twist that eventually spiced up the strongest songs of the album, as is "Ride The Magic Carpet". On the other hand, "Tucson" or "You Must Forget" are dreamy folk numbers that show the band's smoother side. The catchy "Calm Down" makes you wonder about Euphoria's commercial appeal if they had been strongly backed by promotional efforts. However, by the time the LP came out in 1969, this kind of folk-pop sound had become out of fashion, and with live performances of top-selling artists such as Van Morrison, Iron Butterfly, or Sly & The Family Stone, it did not reach decent sales figures. Euphoria disbanded shortly after their only album was released and two new different projects followed, Bermuda Triangle and Pacheco & Alexander, pursuing more contemporary sounds. Presented in facsimile gatefold sleeve and pressed on 180 gram vinyl. 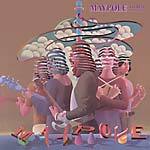 Vinilisssimo present Maypole's self-titled debut, originally released in 1971. You have probably heard this story before: a great album gets released by the time the label folds and the few copies distributed end up in the dollar bins. Then, a few decades later, some connoisseurs realize what a great record that album was and it becomes collectable and sought after overnight. This is exactly what happened in 1971 when Demian Bell and Paul Welsh saw their debut album as Maypole released on Colossus at the worst possible time... The band was formed in Baltimore, Maryland in late 1969 and they named it Maypole, as in the Nathaniel Hawthorne story, as a symbol of freethinking they also aimed to represent. Their sound has been compared to bands like Cream, Iron Butterfly, or Led Zeppelin, and the similarities between Demian Bell's guitar skills and Hendrix playing have also been remarked upon. 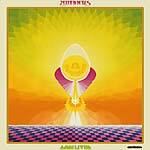 The bluesy hard psych vibes on their only US single Show Me That Way/Johnny (1971) certainly back those comparisons. Strong melodies and some nice group harmonies are the other magical ingredients that help making this album an amazing piece of hard rock music. Maypole soon gained media attention and a promo tour followed, including live appearances on national TV shows, the problem was they had no company behind their album. The band relocated to Holland and continued playing gigs with moderate success. Lifestyle excesses resulted in numerous personnel changes until the band finally dismantled in 1972, though several members briefly continued performing as The Flying Circus. Presented in facsimile artwork and pressed on 180 gram vinyl. Vinilisssimo present a reissue of Brazilian Octopus's self-titled album, originally released in 1969. This is such a unique album. Each tune is a winner, no wonder originals have fetched exorbitant prices in the collectors market, and it has been hailed by connoisseurs such as Nicola Conte or Andy Votel over the years. It features Hermeto Pascoal, Cido Bianchi (former Milton Banana Trio member), Lanny Gordin and shows an unusual mix of different styles and influences that transcends any possible category: from pop to Cuban rhythms. The bossa nova is obviously also present, as in many other Brazilian recordings from 1969, but the complex arrangements make this record lean towards the jazzier side of things, while the organ/guitar/vibes sounds will appeal for garage music lovers. 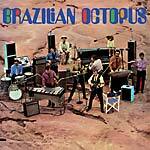 Brazilian Octopus was formed in 1968 after Lívio Rangan, a wealthy businessman from Sao Paulo, asked Cido Bianchi to put together a band that would play at the shows run by his fashion company, Rhodia. A proper work contract was issued, including three months of paid rehearsals. Despite their diverse background, most of the members of the band already knew each other as they would often perform at Stardust, a popular club managed by Lanny's father. Hermeto Pascoal, and Nilson da Matta, joined the band a few months later. Then Mr Rangan approached the band again with a new idea: the recording of a full album mixing tunes written by other artists and their own compositions. 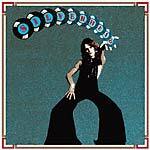 The record was released by Fermata in 1969 and the band was then tempted with the idea of recording a second album. However, the offer was declined since the musicians had not received any fee for their work. That was the end of Brazilian Octopus. Nearly five decades after its first release, with original copies having almost vanished off the face of Earth, this beauty is made available again. Presented in facsimile artwork and pressed on 180 gram vinyl. Vinilisssimo present a reissue of Knocker Jungle's self-titled album, originally released in 1970. Ember was a British label created in 1960 by Jeffrey Kruger, founder of London's Flamingo Club. As well as recording British acts, Ember distributed many American and other recordings in the UK. The Knocker Jungle LP was released by the label in 1970, when the duo had already split, being withdrawn from sale shortly after due to a controversial picture included in the inner sleeve that made many shops refuse to stock it. A single (for the Spanish market only) somehow managed to get released too, and that's about all Tony Coop and Keith Jones achieved in their short life as Knocker Jungle. What the band members had done before this project was formed, or where this album led them to, remains totally unknown. Their music speaks for itself, confessing a true passion for classic song-based artists, from Donovan to Nick Drake or Dylan, with a certain degree of hippie-bluesy approach on most tracks. Tony Cox (responsible for producing Yes's album Time And A Word (1970) and other records from Family, Caravan, etc) held production duties and Dave Pegg and Dave Mattacks from Fairport Convention are featured among the band players. From the splendid opener "I Don't Know Why", consistency remains solid throughout the entire album. The catchy "You've Lost Your Love For Me" adds some early T-Rex sound into the equation while "Where I Belong" shows a strong West Coast influence. Almost 47 years after its sudden withdrawal from the shops, this rare gem gets a deserved vinyl reissue. Presented in facsimile gatefold sleeve and pressed on 180 gram vinyl. 2018 repress. Vinilisssimo present the first vinyl reissue of Tim Maia's 1977 self-titled album. 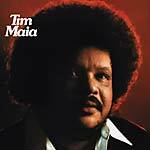 Tim Maia was born in 1942 in the suburbs of Rio de Janeiro and started his musical career at an early age, along with close friends such as Roberto Carlos or Jorge Ben. Carlos would eventually help him to get a deal for his first single at CBS. During the '70s, Maia started to incorporate soul and funk elements into his style. After a two-year period involvement in the Cultura Racional in Brazil, Maia's funky style was still at its best when he released this album in 1977. It was his first and only recording for Som Livre, the legendary label that became extremely popular due to the many soap operas soundtracks in its extensive catalog. This self-titled LP deserves to be shortlisted among Maia's top records. It features killer tunes like the anthemic "É Necessário", undoubtedly one of the best songs in his career, and also boogie gems such as "Verão Carioca" or "Venha Dormir Em Casa" that show obvious influences by some of the biggest American soul artists of the time. It also contains intimate vocal delights as in the lovely smooth tune "Música Para Betinha" or even straight funky instrumentals like "Flores Belas". The string arrangements, wah-wah guitars, horns, deep vocals make this recording a milestone in the so-called "Black Movement" in Rio, where artists like Toni Tornado, Banda Black Rio and Maia himself were bringing in the funky sounds of America and mixing them with local rhythms like samba. Presented in facsimile artwork and pressed on 180 gram vinyl.